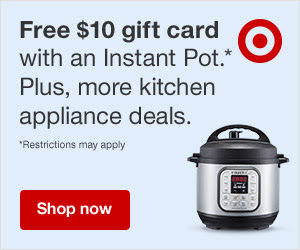 Right now at Target you can get a free $10 Target gift card when you purchase an Instant Pot. Target also offers free 2-day shipping with orders of $35 or more. This offer ends Saturday, August 18th.